1488 Transcoro Street SE #18, Palm Bay, FL.| MLS# 836663 | Free Brevard County MLS Home Search. No Agent Needed. Daily Auto-Email Listings of All Brevard County Homes and Listings For Sale That Meets Your Home Buying Criteria. Brevard County Real Estate Market Information. 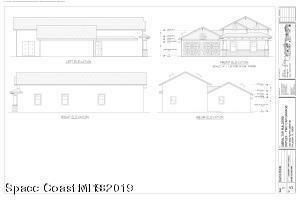 This to be built home offers 3 bedrooms, 2 baths & 2 car garage on a nice size lot. The bathrooms will offer custom cabinetry, granite counter tops. Home will offer high impact windows and will take approximate 30-45 days to complete construction. Photos are artists rendering. Actual home may differ slightly. Other lots available.